While the data of diversity is far from the only commitment Indiana University has to diversity and inclusion, it is the foundation upon which other important efforts can be based. By documenting concrete metrics like percentage of minority students on campus, as well as retention and graduation rate of minority students, the university is able to gauge which efforts are working, what measures can be improved, and what progress has been made on building a truly diverse and inclusive campus. 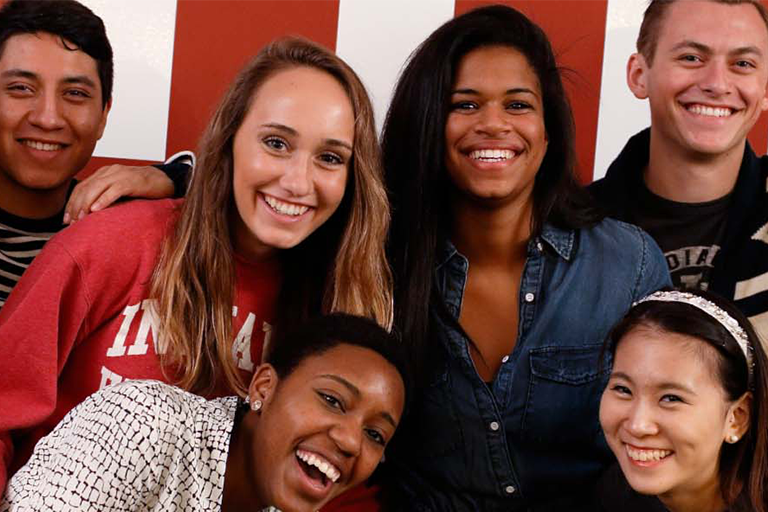 More importantly, however, the numbers of diversity represent the many students who are able to access and succeed in the learning environment Indiana University seeks to provide. It is this importance that drives the evaluation of the university’s most recent diversity data by the Office of the Vice President for Diversity, Equity, and Multicultural Affairs (OVPDEMA). As a whole, this data suggests that the various diversity-focused initiatives at Indiana University are working, with the student population diversifying considerably over the last decade. Evaluating this progress will be key to OVPDEMA’s efforts to foster diversity and inclusion, building on these positive trends into the future. The most recent version of this data, published in 2018, shows that Indiana University’s efforts to recruit a more diverse student body has fostered success over the past decade. Since 2005, the enrollment of minority students at IU has increased by 87.8 percent, growing from 13.9 percent of the IU student population to 25.1 percent today. This figure is higher than the minority population of Indiana, which rests at 23.3 percent. In particular, the Hispanic/Latino, Asian, and American Indian populations at IU have experienced the highest growth, with 193.1 percent, 145 percent, and 170.8 percent increases, respectively. The African American student population also showed modest increases, as it grew by 22.7 percent in that same period. In evaluating this data, it is critical to establish how the metrics internally used by OVPDEMA to mark progress differ from those used on a national level. The latter is reported to the U.S. Department of Education’s Integrated Postsecondary Education Data System (IPEDS) for the purposes of comparing institutions nationwide. Since 2010, IPEDS has stipulated that diversity data of student populations be collected using a two-question format; the first question asks respondents whether they are Hispanic or Latino, while the second question asks respondents to indicate one or more races from a provided list. If respondents indicate multiple races, their race is reported only as “Two or More Races,” preventing students who identify as more than one race from being reflected accurately. Additionally, if a respondent indicates that they are Hispanic or Latino in the first question, their selections in the second question are not reported, even if they identify as more than one race; for the purposes of the IPEDS data, they are only categorized as Hispanic or Latino. OVPDEMA has recognized that the limitations of the IPEDS data mean that it alone does not fully capture the diversity of students at Indiana University, regardless of its value as a whole. For this reason, OVPDEMA collects and uses additional metrics to supplement the data collected for IPEDS for the purpose of meeting federal requirements. This methodology lists multiracial students in the categories they selected and does not identify Hispanic or Latino students solely by that category. Doing so allows OVPDEMA to more accurately capture the diversity of IU’s student population, allowing students to be represented as they prefer to identify. In pursuing this broader approach to the way it measures diversity at IU, OVPDEMA ensures that the numbers behind its diversity efforts do not erase or misrepresent the people they are meant to describe. While this undoubtedly benefits the accuracy of the data itself, it also reflects a key priority for OVPDEMA: that all of the office’s efforts be grounded in the human needs of the community it serves.